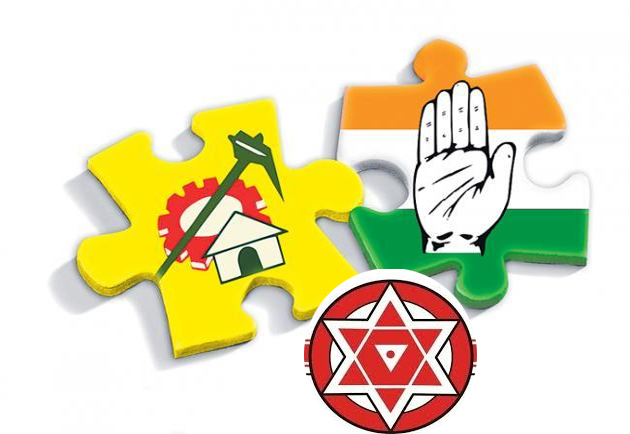 Rajya Sabha Member TG Venkatesh declared there are high chances of pre-poll alliance between TDP and Jana Sena for the 2019 Elections. 'There were never any issues between Pawan Kalyan and Telugu Desam. The only time Pawan differed with TDP is regarding the Special Category Status. He is of the opinion that Centre could have accorded Special Status had if TDP Government fought for it. Chandrababu Naidu hasn't revolted on NDA Government in the beginning assuming necessary financial assistance will be offered gradually but that didn't happen. TDP decided to end the ties with BJP after reaching a conclusion that injustice is being done following the extension of Special Status benefits to other states. Chandrababu Naidu took the right call at the right time because of his seniority. Both Naidu & Pawan might work together again if their opinions match,' he opined. TG Venkatesh recalled the feud between Akhilesh Yadav-led SP and Mayawati-led BSP until few years ago. He added, 'SP & BSP could work together to defeat BJP. Similarly, TDP and Jana Sena might have a tie-up in AP. It's up to the party heads to decide what has to be done. As of now, I can surely say Leaders and Cadre have a positive feeling about the alliance'. The Rajya Sabha MP reiterated his Son is likely to be TDP Candidate for Kurnool Assembly Constituency. He claimed to have told the party leadership to offer ticket only if the surveys predict his Son's victory. TG's Loose Talk - PK's Counter - CBN's Anger!